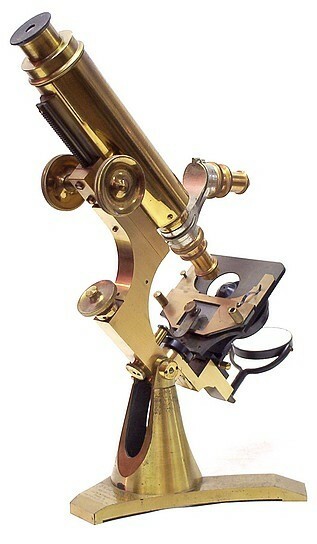 Impressive Brass Microscope Collection | Bolden Instrument, Inc. I stumbled across this great collection with some really good pictures and history. Check it out here. On this site you can view some of the antique microscopes in my collection. They date from the early 18th to the early 20th century. You can browse the site simply by viewing the images on the various pages or, in a more organized manner, by using the Site Index. I hope you find these instruments as interesting as I do.